The Rapids 08B Select Central team is headed overseas to England this summer, where they will visit and compete with youth academy programs from famed English Premier League and EFL Championship clubs. The team intends to participate in a minimum of three games and three training sessions between July 20 – 27, with options for more playing opportunities. The boys can also look forward to meeting and training with ex-professionals and soccer experts, who have made their names known throughout the soccer world. Using connections from his time spent playing and coaching in England, Coach Tom Poole, is excited to take the 08B Select Central team on this once-in-a-lifetime trip to experience a new culture, grow as a team, and play against some of the top youth programs in the world. All funds raised will be split among the team in an effort to help offset costs for players. This is a team effort that will ensure every player has the opportunity to travel with their team and experience the beautiful game outside of the United States. 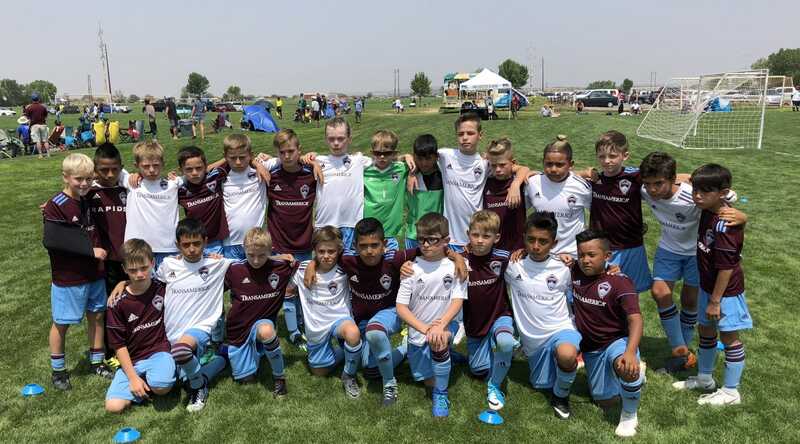 If you would like to support the Rapids 08B Select Central team as they raise funds for their trip to England, please click the “donate now” below to visit the team’s GoFundMe page. You can also view the individual ways the team is seeking donations below, with information on how you can make your donation. Set up your AmazonSmile with COLORADO RAPIDS YOUTH SOCCER – make AmazonSmile your landing page for any Amazon buys you do between now and June 1! We sincerely thank you for anything that you give in support. Every dollar will go toward making this trip a memorable one for the team. To find out more details on the boys’ upcoming trip, check out this article by Telemundo Denver and stay tuned to our Facebook, Instagram, and Twitter pages for updates! If you have any questions on the trip or how you can support it, please contact the CRYSC 11U-12U Boys Director of Coaching, Tom Poole, at tom.poole@rapidsyouthsoccer.org.